Trying to decide whether a career in insurance is right for you? A six-year old friend of the family just nailed it. So, there you have it, an insurance career in the making. Or, as the six-year old’s Mom quipped: #hiitsjakefromstatefarm. There’s a new State Farm ad in there somewhere. Check out the Insurance Information Institute’s new web portal–My Career in Insurance to get a sense of the incredible range of opportunities and occupations waiting for you. Dr. Robert Hartwig, an economist and president of the Insurance Information Institute (I.I.I.) for almost a decade is about to head south to join the faculty of the University of South Carolina’s Darla Moore School of Business. We caught up with him in his final days at the I.I.I. to ask him about his time in office, some of his most memorable moments and his plans for the future. What accomplishment are you most proud of during your time as I.I.I. president? Bob Hartwig: Over the past 10 years we’ve built an extraordinary brand around the Insurance Information Institute name. The I.I.I. is the trusted source for insurance information, analysis and expertise. The organization’s credibility is its currency among its many stakeholders including not only consumers, insurers and media but also legislators, regulators, academics and more. I’m also very proud of the way that we’ve been able to use cutting edge technology to further our mission of sharing with the world how this vital industry works and the critical role it plays in the global economy. What was your most challenging day in office? BH: 9/11. No question about it. The I.I.I.’s offices in lower Manhattan were only a few blocks from the World Trade Center site. We watched real time from our 24th floor office at 110 William Street as the towers fell. Our building was hit by flying debris and enveloped in smoke. As the horror of that day was unfolding before our eyes, we were at the same time working to make sure that media and others understood that insurers would be standing by their commitments and would work tirelessly to help the tens of thousands of impacted policyholders, the city of New York and the United States as a whole get back on their feet. You’ve made hundreds of TV appearances over the years representing the industry. Any memorable moments you can share with us? BH: There are so many, but once again I go back to 9/11. One or two days after the event I was invited to appear on the set of 60 Minutes. I had appeared in the press calling for a Marshall Plan for Manhattan and once again was there to assure a nervous country that insurers were committed to helping rebuild. You’ve rubbed shoulders with more than a few famous people on the insurance speaking circuit. Who were you most excited to meet and why? BH: It’s not always the most famous person who delivers the best speech. I had the chance to meet Bill Clinton, who’s quite a compelling speaker. 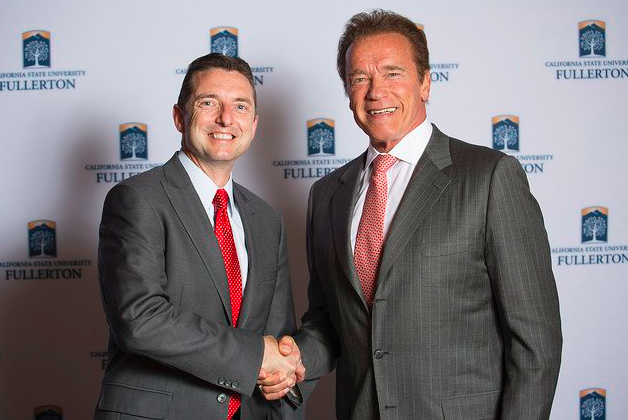 Recently, I met Arnold Schwarzenegger—who appeared at a fundraising event for insurance education in his capacity as a former governor of California. I thought he had a particularly inspiring story that would appeal to many young people. Perhaps the smartest person I ever met and a personal hero to me was John Nash, recipient of the Nobel Prize in Economics in 1994 and depicted in the movie “A Beautiful Mind.” I adapted some of the work he had done in the field of game theory in my PhD dissertation. I met him in 2013 at the age of 84, two years before he and his wife died in a tragic car accident. When you’re not in the classroom cultivating the next generation of insurance minds, where can we find you? BH: Well, you’re likely to find me out running or biking on rural roads in South Carolina. That said, I bought a house on a lake in South Carolina and may soon indulge myself with a boat—so before too long you’re likely to find me at my favorite fishing hole! I’m sure I speak on behalf of many of our readers in thanking Bob for his leadership and wishing him all the best in the next chapter! Actuaries have the top-rated job in America, which gives I.I.I. chief actuary James Lynch a chance to crow. Actuaries — the number crunchers of the insurance industry — have the best jobs in the United States, according to the latest annual analysis by CareerCast.com. Newspaper reporters have the worst. This has a personal resonance, because I am an actuary and I used to be a newspaper reporter. I wrote personal finance stories for the Miami Herald in the late 1980s. Before that I was a general assignment reporter for the Washington Missourian. I think I’m the only person who can make this claim, and the fact continually sparks conversations, the most recent being April 14 after I spoke at the AIPSO Residual Market Forum in Warwick, Rhode Island. I worked nearly a decade in journalism and had many reasons for leaving. You have to have lots of reasons to change careers. If there’s only one thing wrong with your job, that’s a good job and you shouldn’t leave it. 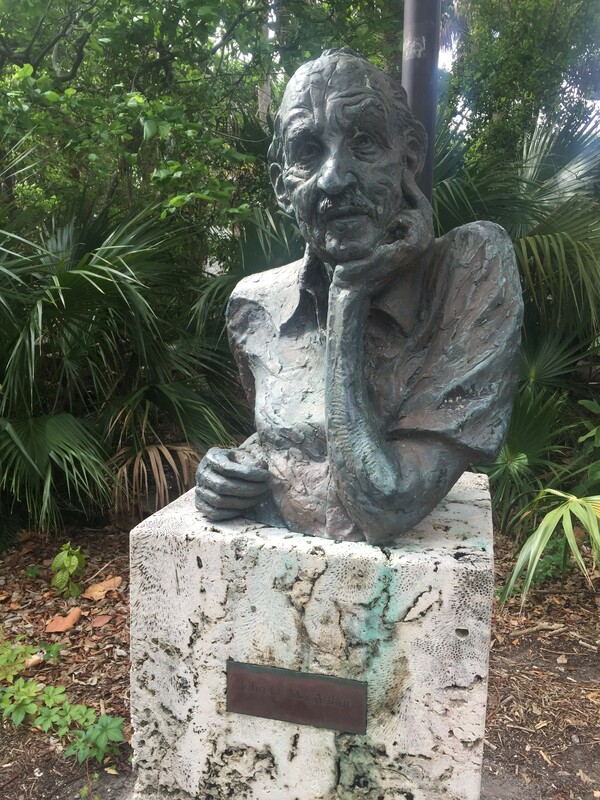 So I quit my job and enrolled at Florida International University, near where I lived then. This was about three months before my wedding. I was 29. At first I wanted to become a computer programmer because I had enjoyed writing the code that generated charts in the newspaper. I quickly learned that programming is an art governed by a muse, and much of a programmer’s job is to stare at a screen until the muse whispers the correct code to write. This muse might alight in an hour, or in a week or maybe three weeks. In the meantime you faced a blinking cursor and ate Snickers. That was not the career for me. I had loved my math classes, though, and decided to change my major. I walked into the math department offices, and — serendipity! — the admin handed me a brand new brochure touting the university’s brand new certificate program in actuarial science. You need to be curious about a lot of subjects: mathematics, statistics, economics, law. You need to be able to explain complex ideas in a simple way. Actuaries surely need those skills — but reporters need them, too. This I can do, I thought. I got the university’s first certificate in actuarial science and picked up a bachelor’s in statistics along the way. After a mere decade of brutal exams, I was a fellow of the Casualty Actuarial Society (CAS). My I.I.I. job combines my two careers. I work closely with the CAS, for which I write press releases and the occasional article. And I write research papers for the I.I.I., like this one on alternative capital, or the occasional magazine article, like this one on autonomous vehicles. In fairness, I’ve never thought newspaper reporter was the worst job in the world, even back when I was so disenchanted a quarter century ago. Much of its poor rating today comes from future of newspapers, more bleak today than when I worked for one. And the job that one person hates another may love. The journalist who can barely add (I’ve met them) would be an unhappy actuary, as would the actuary who struggles to write. I feel lucky to have a job that blends my unique skills, and I always hope that others can find their own way as well.